What Would Happen If You Put A Mirror In A Scanner? I took this fairly large round mirror and scanned it using my Canon flatbed. The result was…let's say, not very mirror-like at all. In fact, the glass area was almost black. So what happened? Where's the shiny glass mirror we were hoping to see? The first mirror's reflection is captured by a fixed mirror at the other end of the scanner. The image from the fixed mirror is captured by a CCD (charge-coupled device) and can then be saved to a computer hard-drive. This is another way of looking at it, with a three-mirror setup. Everything works the same way as before, except that what the scanner's movable mirror sees now is not a document, but a reflection of what is below. 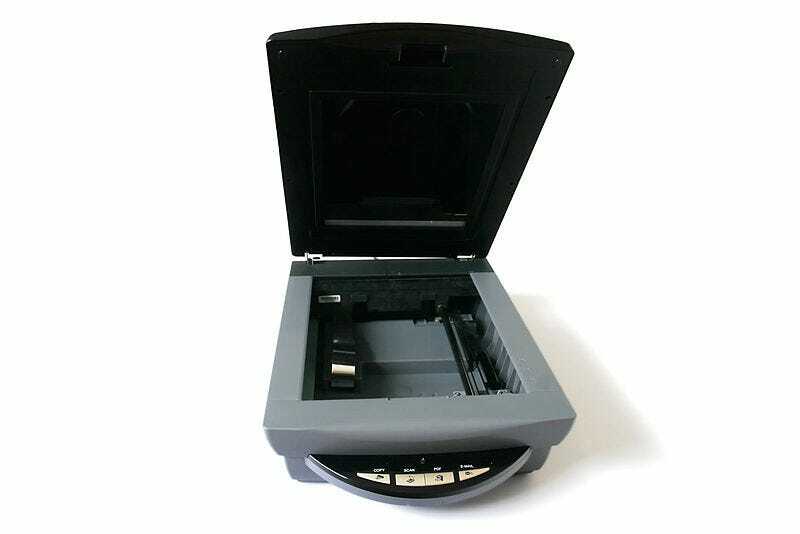 And what's below is the inside base of the scanner, which is black. So what your scan will capture is essentially a dark reflection, and maybe some fingerprints or light scratches…but no shiny objects. What would happen if you put a mirror in a scanner? originally appeared on Quora. You can follow Quora on Twitter, Facebook, and Google+.